One distinguishing-and admirable-feature of BMWs is the four-year, 50,000-mile free maintenance plan. Not only does BMW cover all factory-recommended maintenance during that period, it also replaces specific items to compensate for wear and tear, including brake pads and discs, as well as wiper blades. In addition, it includes four years of free roadside assistance. The 2010 BMW 3-Series upholds its legacy of superb handling, excellent performance, and high quality, though small rear seats and fussy controls are minor flaws. TheCarConnection.com has driven the 2010 BMW 3-Series to bring you this hands-on review that covers styling, performance, safety, utility, and features from on-the-road observations. TheCarConnection.com's editors also researched BMW 3-Series reviews from other sources to give you a comprehensive range of opinions from around the Web-and to help you decide which ones to trust. High Gear Media drove a manufacturer-provided BMW 3-Series to produce this hands-on road test. The BMW 3-Series was last redesigned for 2007, with a handful of mild styling changes last year. A more thorough refresh is expected for 2011, but the 2010 3-Series still owns its segment: four-seat sports compacts. The extensive line includes the four-door sedan, a two-door coupe and convertible, and a station wagon. All-wheel-drive and a clean-diesel engine are optional on certain models. BMW's smooth inline-sixes, whether gasoline or diesel, provide excellent power; the diesel and even the smaller gasoline engine are surprisingly fuel-efficient. Styling is purposeful inside and out. At a base price of $34,025, the simplest 3-Series offers good value in a sports sedan. But start to tick off options or choose the more powerful 335i, and you could see the price soar toward $50,000. BMW's 3-Series was thankfully spared the excesses of the make's larger models. For the volume car in the 2010 BMW portfolio, even the recently departed Chris Bangle had to go easy. The sedan is handsome and the coupe is beautiful from nose to tail, with an athletic but graceful stance. Subtle touches of the characteristic "flame surfacing" add interest and flair to the 3-Series, but they are thankfully restrained. It's worth noting that no body panels are shared between the coupe and convertible two-doors and the sedan and station wagon four-door models. The "convertible" model actually uses a retractable hardtop, which folds neatly into the trunk (at the expense of luggage space). Inside, the 2010 BMW 3-Series is uber-traditional BMW: purposeful, elegant, and luxurious but restrained. The base and optional gasoline engines in the 2010 BMW 3-Series line are both 3.0-liter inline-sixes, following BMW's legendary history of smooth and inline-sixes. The base engine in the 328i produces 230 horsepower and 200 pound-feet of torque; it feels far more powerful than those numbers would indicate. The twin-turbo engine in the 335i, at 300 hp and 300 lb-ft of torque, offers turbine-like smoothness even during blistering acceleration. The base 2010 BMW 328i model is hardly a slouch, sprinting from rest to 60 mph in just 6.2 seconds with the manual (6.8 seconds with the six-speed automatic). But that's to be expected. The pleasant surprise comes from its EPA ratings: 18 mpg city, 28 mpg highway with the manual (19/28 mpg with the auto). The 335i isn't notably quicker, doing 0-60 in 5.3 seconds with the manual or 5.5 seconds with the automatic. But the 300 lb-ft of torque produced by the quick-spooling twin-turbo setup means no waiting at all for copious power. It makes passing maneuvers just breathtaking, and its fuel efficiency ratings drop only to 17 mpg city, 26 mpg highway with either transmission. Last year BMW launched its first-ever clean diesels for the U.S. market, one of them the 335d. The diesel model is available only as a four-door sedan with a limited range of options, but it maintains the BMW spirit in a very fuel-efficient package. The 265-horsepower twin-turbo diesel generates a locomotive-like 425 lb-ft of torque, thrusting it from 0 to 60 mph in 6.0 seconds, while the EPA rates it at 23 mpg city, 36 mpg highway. Spectators and even some drivers may never realize it's a diesel until it's time to fill up. All-wheel drive-which BMW calls xDrive-can be ordered with both gasoline engines and both transmissions. There are downsides, though: It is heavy, compromises some of the car's nimbleness, and cuts mileage considerably. It is only really practical in locations with frequent treacherous winter weather. Ride and handling are what the BMW 3-Series is best known for; they are outstanding. The steering communicates almost telepathically with the driver at any speed, on almost any surface, and it is jarred by only the very worst pavement irregularities. The 2010 3-Series has a plush ride, it is always well-planted and secure on the road, and it's nearly impossible to fluster in corners. Some models offer a pricey active-steering option, which has been criticized by some for an artificial feel. Why tamper with perfection? The front seats of the BMW 3-Series offers excellent space, even for tall riders, but the rear seats are less accommodating. 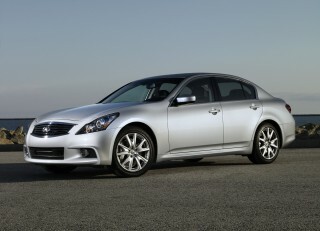 The sedan can be tight, and the smaller rear seats of the coupe and convertible are best reserved for short distances. Clever seatbelt extenders eliminate the awkward reach in the coupe, and despite admirable solidity, the long doors avoid being too heavy or unwieldy. Interior noise is admirably suppressed, and the build quality, interior materials, and switchgear operation are first-class. The 2010 BMW 3-Series does well in crash tests. In testing by the National Highway Traffic Safety Administration (NHTSA) and the Insurance Institute for Highway Safety (IIHS), the 3-Series scores better than average. In fact, the BMW 2010 lineup of 3-Series vehicles is a top performer in IIHS tests, earning a "good" rating, the highest possible, for both frontal offset and side impact categories. While NHTSA is often thought to have less rigorous test procedures, the BMW 3-Series does less well in its ratings. For both driver- and passenger-side front impacts, the BMW 3-Series earns four out of five stars for occupant protection. But it redeems itself somewhat in NHTSA's side-impact category for both driver and rear passenger, where it garners perfect five-star ratings. The 2010 BMW 3-Series also boasts a number of first-rate safety features that help keep driver and passengers safe, including a full suite of airbags, anti-lock brakes, and a stability control system-complete with niceties, like periodically wiping the brake rotors clean of water whenever the windshield wipers are on. 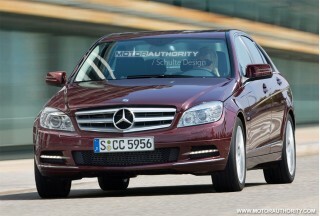 New for 2010 is an optional automatic high-beam system to improve night visibility. The BMW 3-Series has an almost bewildering array of models, packages, options, and accessories. All but the base 328i model come with the rightfully maligned iDrive navigation/infotainment system ($2,100), though its latest iteration adds shortcut buttons to make it simpler and less unintuitive. But the iDrive-free model, with its unbroken dash and simpler controls, lets drivers focus on devouring every foot of road. For 2010, high-definition radio is now standard on all models. The 10-speaker sound system includes two subwoofers and is as crisp, usable, and powerful as everything else on this vehicle. Regrettably, only an auxiliary input jack is standard; if you want the radio to interface with your iPod (and charge it), you must pony up an extra $400 for the USB option (or $320 for a dedicated iPod interface adapter). A long list of electronics options quickly ramps up the price and adds little to driving capability, but 3-Series buyers appreciate and often buy such items as the Logic7 Surround Sound system ($875), adaptive cruise control ($2,400), and power front seats ($995). The all-wheel-drive xDrive option adds $2,000. A Sport Package, at $2,050, ups wheel size to 17 or 18 inches and includes grippy run-flat tires and well-bolstered sport seats; this is a good pick for the serious driver. The most compelling options for the 2010 BMW 3-Series are the aforementioned USB/iPod interface and the $750 BMW Assist with Bluetooth. The pricey $2,650 Premium Package-including moonroof, auto-dimming mirrors, digital compass, Bluetooth, power seats, lumbar support, and universal garage door opener-doesn't represent a great value unless you simply have to have all those features. The 2010 BMW 3-Series offers elegant, purposeful exterior styling and a first-class interior for driving enthusiasts who don't need glitz or flash. BMW's foray into cutting-edge styling with former chief designer Chris Bangle's "flame surfacing" technique was a failure among both critics and consumers. But the very important 3-Series range was thankfully spared the excesses of the make's larger models. For the volume car in the 2010 BMW portfolio, even the recently departed Bangle had to go easy. The sedan is handsome and the coupe is beautiful from nose to tail, with an athletic but graceful stance. Subtle touches of the characteristic "flame surfacing" add interest and flair to the 3-Series, but they are thankfully restrained. It's worth noting that no body panels are shared between the coupe and convertible two-doors and the sedan and station wagon four-door models. The "convertible" model actually uses a retractable hardtop, which folds neatly into the trunk (at the expense of luggage space). Reviewers are impressed with last year's styling revisions to the BMW 3-Series, which Motor Trend says gives it "a slightly sharper, more muscular appearance." Reviews read by TheCarConnection.com indicate that the minor updates to the BMW 3-Series should enhance the car's visual appeal. For those who need a little more space than the coupe or sedan can offer, Car and Driver declares that the BMW 3-Series "station wagon looks better than ever, and some at BMW believe U.S. sales may pick up soon." Edmunds reviewers note "some of the sedan and wagon's more questionable styling elements have been rectified" with the addition of "a new front fascia that's reminiscent of the sexier coupe and convertible." Car and Driver praises the "friendlier-looking lower air intakes" and points out that "the front lighting units are accentuated with LED turn signals encased in a cool-looking grid." Inside, the 2010 BMW 3-Series is uber-traditional BMW: purposeful, elegant, and luxurious but restrained. TheCarConnection.com's research suggests that reviewers feel the interior tends toward the conservative side. Edmunds finds it "a tad plain, [with] the emphasis on driver comfort and involvement"-elements that no driving purist can argue against-but says the BMW 3-Series "interiors provide a restrained show of luxury." For the 2010 3-Series, Automobile Magazine raves that the "ergonomics are great," while Motor Trend notes the availability of "new colors and materials" for the interior. The only complaints come from ConsumerGuide, which gripes that the "audio and climate controls are compromised by their low mounting position and some cryptic markings." There is simply no doubt that the 2010 BMW 3-Series remains the "Ultimate Driving Machine" among small sedans for its performance and handling. One stint behind the wheel of the 2010 BMW 3-Series is enough to realize that BMW hasn't lost touch with its long-standing reputation for making cars for those who enjoy driving. The base and optional gasoline engines in the 2010 BMW 3-Series line are both 3.0-liter inline-sixes, following BMW's legendary history of smooth inline-sixes. Motor Trend reviewers note that "the automaker's sublime 3.0L inline-six, available in naturally aspirated and twin-turbo forms, remains the same." Reviews read by TheCarConnection.com are unanimously impressed with both variants of the engine, which can be distinguished by their 328 (naturally aspirated) and 335 (twin-turbo) numerical designations. The base engine, according to Cars.com, is the naturally aspirated 328, which produces "230 horsepower [and] 300 pounds-feet of torque." 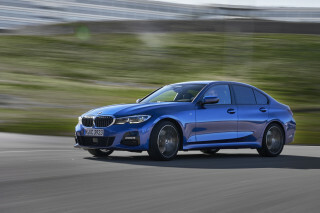 Moving up a notch in power, Edmunds states that the "335i and 335i xDrive get a different 3.0-liter inline-6, this one twin-turbocharged to produce 300 hp and 300 lb-ft of torque." ConsumerGuide, meanwhile, reports that the 2010 BMW 3-Series in 328i form "has smooth, sufficient power for around-town driving and highway passing," while the "335i has abundant power at any speed with no noticeable turbo lag." Car and Driver agrees that either combination is "exceedingly capable, with instant power on tap up to its 155-mph cutoff." The hot rod of the group, a 335i coupe, "did 4.7 seconds 0-60 mph," according to ConsumerGuide tests. The 2010 lineup of BMW 3-Series models offers consumers a couple of transmission choices and includes both rear- and all-wheel-drive models, as well as the traditional manual and automatic transmission offerings. Edmunds reports that all BMW 3-Series "models come standard with a six-speed manual shifter, while a six-speed automatic is optional." Edmunds also points out that "paddle shifters can be added to the auto" on the 2010 BMW 3-Series. According to Car and Driver reviewers, all versions come with a base rear-wheel-drive transmission, while the 328i offers "an available xDrive all-wheel-drive system." On automatic-transmission versions of the BMW 2010 3-Series, ConsumerGuide finds that "the 6-speed automatic changes gears smoothly, but downshifts can lag behind throttle inputs." Despite the fun that can be had behind the wheel of a BMW 3-Series, Edmunds is pleased to report that the vehicles remain "relatively fuel-efficient." For the wagon models, the EPA estimates that rear-wheel-drive versions with the manual will get 17 mpg city and 27 mpg highway, while the automatic returns 18/27 mpg and the xDrive variant gets 17/25 mpg. For the sedan and coupe models, the 328i gets an impressive 18 mpg city and 28 mpg on the highway. Moving up to the higher-output 335i models, the EPA estimates that rear-drive sedans and coupes will get 17 mpg city and 26 mpg highway, while manual-transmission xDrive versions should hit 16 mpg city and 25 mpg highway. For 335i xDrive models with the automatic transmission, city economy jumps up 1 mpg to 17 mpg, while the highway rating is unchanged at 25 mpg. Everything you've heard about the phenomenal driving dynamics of the 2010 BMW 3-Series is true, according to TheCarConnection.com's research. Automobile Magazine simply declares the BMW 3-Series "the best driving car in the class," thanks to its "communicative steering and wonderful chassis balance," while Motor Trend marvels at how the BMW 3-Series is "equally at home canyon-carving at triple-digit speeds as it is taking the kids to school." ConsumerGuide raves that BMW's 2010 lineup of 3-Series models "is the class benchmark for overall control and steering feel," and "even with the base suspension, all models display excellent balance, sharp moves, and little body lean in turns." Edmunds predicts that the "steering and brakes will provide hours of entertainment on twisty two-lane byways," and ConsumerGuide agrees that "braking is powerful and stable." Some models offer a pricey active-steering option, which has been criticized by some for an artificial feel. Why tamper with perfection? 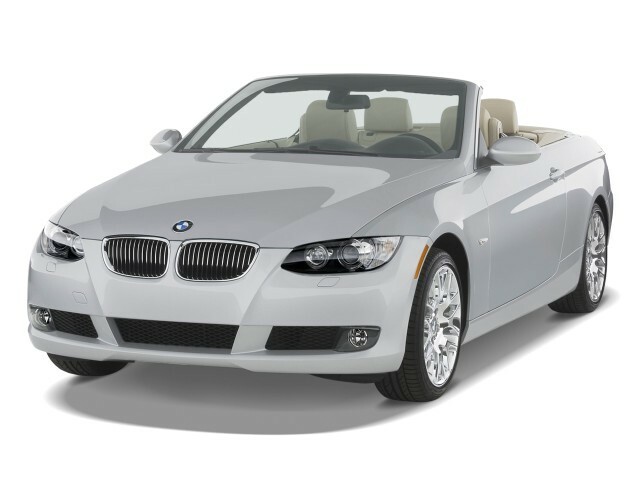 The 2010 BMW 3-Series offers high-quality materials, impeccable build, and a quiet, comfortable cabin. The front seats of the BMW 3-Series offers excellent space, even for tall riders, but the rear seats are less accommodating. 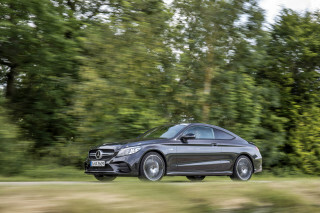 TheCarConnection.com's research reveals that the sedan can be tight, and the smaller rear seats of the coupe and convertible are best reserved only for short distances. Up front, ConsumerGuide reports that "headroom and legroom are good for all but the tallest drivers," while the BMW 3-Series' "seats have excellent bolstering to secure occupants through turns." However, Edmunds cautions that "the rear seats are adequately roomy for adults on shorter trips," though "taller passengers will wish for more headroom," and most adults will take exception to riding in the rear for any length of time. Cars.com finds that "sedans and wagons can hold five occupants, while coupes...seat four." As a practical daily driver, the 2010 BMW 3-Series excels in many categories, but the coupe struggles when it comes to cargo capacity. Split folding rear seats are an option on the sedan, but they make the most of its trunk. Cars.com says that, without the seats folded, "the sedan's trunk capacity is 12 cubic feet." ConsumerGuide cautions that the "coupe's small aperture won't swallow large packages, but its standard split folding rear seatbacks expand space." Clever seatbelt extenders eliminate the awkward reach in the coupe, and despite admirable solidity, the long doors avoid being too heavy or unwieldy. On all three versions-coupe, sedan, and wagon-Edmunds reports that there is "not much interior storage space," but the wagon understandably excels in terms of rear storage. BMW has always been regarded as a luxury brand, and the interior materials and build quality of the BMW 3-Series definitely reflect that reputation. Interior noise is admirably suppressed, and the build quality, interior materials, and switchgear operation are first-class. Edmunds notes that "materials and build quality are exceptional" on the 2010 BMW 3-Series, and ConsumerGuide reviewers find that the "cabin materials have a sturdy, soft-touch feel." They have been "upgraded" compared to the high standard of the previous 3-Series, says Car and Driver. ConsumerGuide also highlights the build quality, commenting that the "bodies exhibit ingot-solid construction." Build quality can easily be tested by taking any vehicle for a drive to see what sorts of road and wind noise intrude into the cabin. Car and Driver finds that "the interior is well isolated," and you'll have to strain your ears to pick up much from inside a BMW 2010 3-Series. ConsumerGuide adds, "tire noise is subdued," although they report that "wind rush is evident at highway speeds." While its crash-test record isn't quite perfect, the 2010 BMW 3-Series provides a suite of safety features that is more than competitive for the class. The 2010 BMW 3-Series does well in crash tests. In testing by the National Highway Traffic Safety Administration (NHTSA) and the Insurance Institute for Highway Safety (IIHS), the 3-Series scores better than average. In fact, the BMW 2010 lineup of 3-Series vehicles is a top performer in IIHS tests, earning a "good" rating, the highest possible, for both frontal offset and side impact categories. While NHTSA is often thought to have less rigorous test procedures, the BMW 3-Series did less well in its ratings. For both driver- and passenger-side front impacts, the BMW 3-Series earns four out of five stars for occupant protection. But it redeems itself somewhat in NHTSA's side-impact category for both driver and rear passenger, where it garners perfect five-star ratings. Reviews read by TheCarConnection.com show that the 2010 BMW 3-Series also boasts a number of first-rate safety features that help keep driver and passengers safe, including a full suite of airbags, anti-lock brakes, and a stability control system. Cars.com says the "standard safety features include: antilock brakes, electronic stability system, [and] side curtain airbags," while Edmunds reviewers note that "run-flat tires" come standard, and the "stability control system integrates several features designed to improve braking performance, such as periodically wiping the brake rotors dry when the windshield wipers are in use." New for 2010 is an optional automatic high-beam system to improve night visibility. The 2010 BMW 3-Series offers good visibility in all directions. ConsumerGuide reviewers point out that "thick front pillars can obscure vision to the forward corners," but they also say the "rear visibility is fine," a less and less common feature on newer cars with high trunks and thick rear pillars. From frugal diesel to twin-turbo sports machine, the 2010 BMW 3-Series packs in many standard features-with the confusing iDrive, thankfully, an option. The 2010 BMW 3-Series is both a sports sedan and a luxury car, underlined by its comprehensive standard feature list and rather high starting price. BMW offers many optional features to match its luxury positioning, but they'll cost you. And you may not be able to find a base version at all. Edmunds reviewers report that most BMW 3-Series cars "you find on dealer lots will be equipped with the Premium Package, which adds leather upholstery...auto-dimming mirrors, Bluetooth connectivity [and] BMW Assist telematics." Edmunds lists the standard equipment on the BMW 2010 328i as "heated side mirrors, a sunroof, leatherette vinyl upholstery...and a 10-speaker CD stereo with an auxiliary input jack," though editors at TheCarConnection.com are disappointed to learn that only an auxiliary input jack is standard. If you want the radio to interface with your iPod (and charge it), you must pony up an extra $400 for the USB option or $320 for a dedicated iPod interface adapter. For 2010, high-definition radio is now standard on all models. Cars.com adds that you'll find standard "push-button ignition [and] standard automatic climate control." As for the more powerful 2010 BMW 335i version, Edmunds reviewers note it comes with "17-inch wheels, xenon headlights and power front seats with driver memory." The 10-speaker sound system includes two subwoofers and is as crisp, usable, and powerful as everything else on this vehicle. A long list of electronics options quickly ramps up the price and adds little to driving capability, but 3-Series buyers appreciate and often buy such items as the Logic7 Surround Sound system ($875), adaptive cruise control ($2,400), and power front seats ($995). Automobile Magazine feels that if you have the cash to burn on a few options, "the $995 power front seats option is money well spent." Other noteworthy optional features on the 2010 BMW 3-Series include "in-car Internet access [and] a new audio system," according to Motor Trend, which also points out that drivers can send routes planned on Internet mapping systems to the optional navigation system, "saving the hassle of inputting destinations manually." The all-wheel-drive xDrive option runs $2,000. A Sport Package, at $2,050, ups wheel size to 17 or 18 inches and includes grippy run-flat tires and well-bolstered sport seats; this is a good pick for the serious driver. The most compelling options for the 2010 BMW 3-Series are the aforementioned USB/iPod interface and the $750 BMW Assist with Bluetooth. The pricey Premium Package-including a moonroof, auto-dimming mirrors, digital compass, Bluetooth, power seats, lumbar support, and universal garage door opener-doesn't represent a great value unless you simply have to have all those features. Edmunds reports that stand-alone options include "active cruise control, front and rear parking assist, an active steering system (335i only), paddle shifters for the optional automatic transmission...satellite radio, HD radio, iPod adapter and a Logic 7 surround-sound audio system." Of course most models come with the rightfully maligned iDrive navigation/infotainment system ($2,100), though its latest iteration adds shortcut buttons to make it simpler and less unintuitive. Car and Driver notes "you can still skip iDrive altogether by not ordering a factory-installed navigation system." The iDrive-free base model, with its unbroken dash and simpler controls, lets drivers focus on devouring every foot of road.